It happens to the best of us. 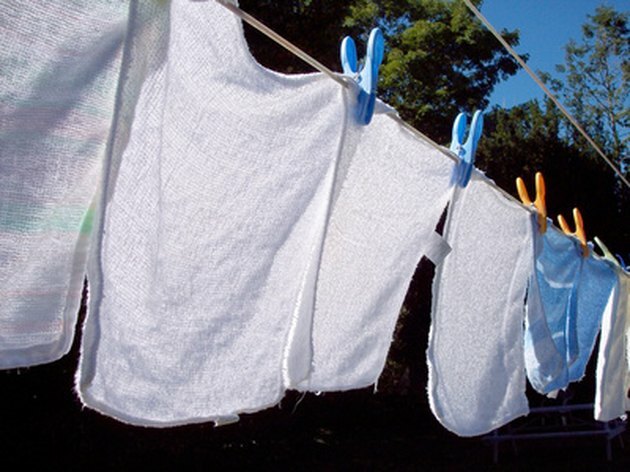 One colored item ends up in a wash full of whites and the dye from the colored fabric bleeds onto the others; the whites are no longer white. While there are many products on the market promising to block the color from spreading, such as dye transfer paper, stain removers and even salt, without pretreating the fabrics you're likely to have to correct the dye bleeding afterward. Fortunately, there are several household products that have proven effective in returning the dyed clothes back to white. Household remedies can return clothes back to white after color run. Mix one part of 20-volume strength hydrogen peroxide with six parts water. Soak the garment for 30 minutes or until stain has cleared. Rinse the garment in cold water, treat with a stain lifter solution and re-wash with laundry detergent. Set your washing machine to the fill setting, and dilute one cup of bleach by pouring it into the bleach dispenser. Soak the fabric in the bleach for 30 minutes. 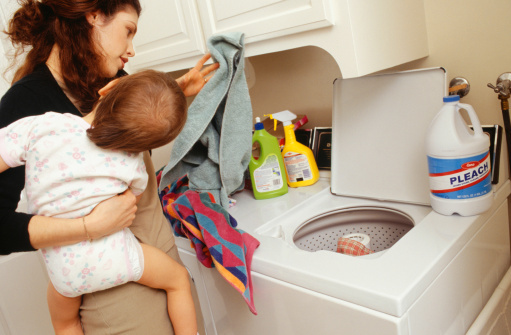 Add laundry detergent and set the washing machine to normal cycle. Mix equal parts dish detergent, ammonia and water. Place the solution into a spray bottle and generously apply it to the dyed area. Rub the mixture into the dye using a sponge or toothbrush. Wait 30 minutes and re-wash the clothes in a normal wash.
Curtis Gifford has been creating content for various websites and publications since 2000. His writings have appeared on websites such as Monster.com and he is also an expert in the knowledge management field. Gifford studied political science at Suffolk University in Boston.